For many of us, she is a touchstone as much as one of the character actresses who helped define the classic qualities in films such as Now, Voyager, The Man Who Came to Dinner, White Christmas, By the Light of the Silvery Moon, Sister Act, and more. 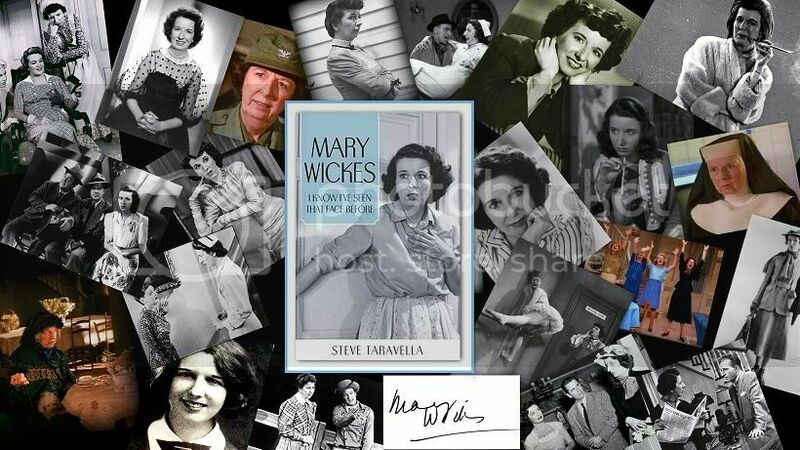 Whenever Mary Wickes pops up in a film, you know that there is something delightful about to happen, even when this performer took roles that might seem smaller than her talent. Mary whipped each role to an entertaining, insightful froth that put the fizz into plays, television and films well beyond the words in the script. Some of the ingredients in her talent were a bit of realistic vinegar along with a dash of humorous ginger, as well as a droll and often elegant touch conveying a character's life story in a few words with just a raised eyebrow, a shrug, or an air of brisk efficiency. Off-screen, her friendship was treasured by many people in and out of the spotlight, including playwright George S. Kaufman, Bette Davis, Lucille Ball, Doris Day, Garson Kanin and Ruth Gordon. An only child and a deeply devout person, Mary was exceptionally close to her mother and father, yet avoided contact with part of her family, despite her filial devotion. A strong work ethic, a lifelong habit of reticent stoicism, and a sensitivity about her gangly, 5'10" appearance may have played a part in her remaining independent and single at a time when convention directed most women into marriage. 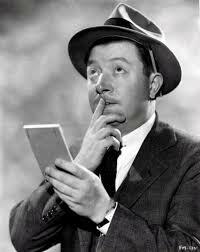 Mary Wickes was the original Mary Poppins? Mary Wickes was the Disney animators' model for Cruella de Vil of 101 Dalmatians fame? Mary Wickes was a member of Orson Welles’ groundbreaking Mercury Theatre and appears in the newly restored Welles film, Too Much Johnson? Mary Wickes was one original cast member who appeared in the stage, screen and television versions of The Man Who Came to Dinner? 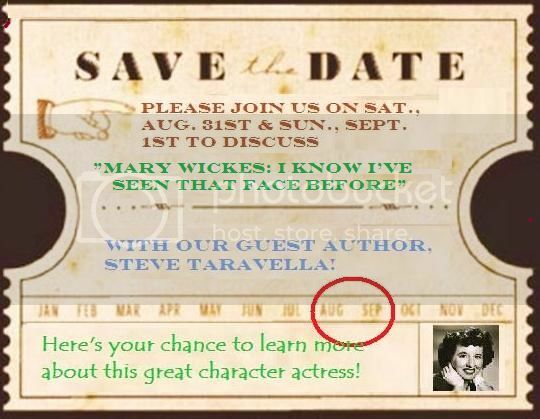 Re: Mary Wickes Biographer, Steve Taravella to Visit!